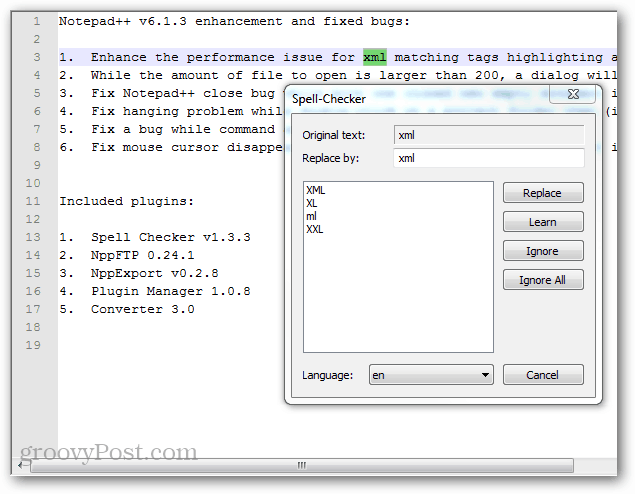 If you’ve installed Notepad++ with default settings, you likely already have the Spell Check plugin installed. Here’s how to enable it. 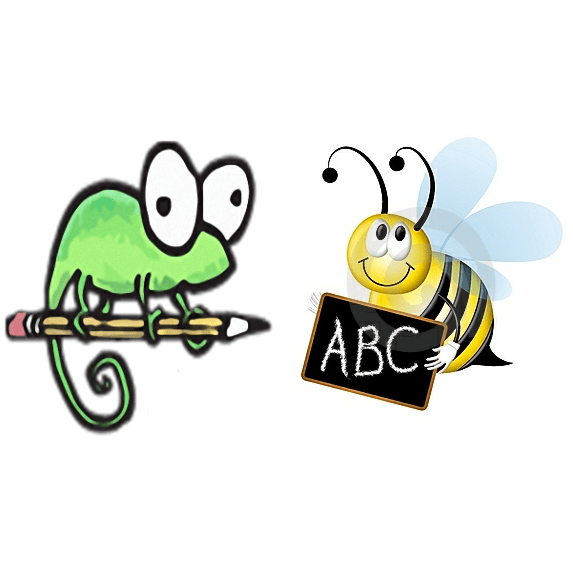 Notepad++ is our favorite text editor and a must have notepad replacement. Unfortunately although it comes with a spell check tool, it doesn’t always have the dictionary files needed for it to run. Let’s set them up. 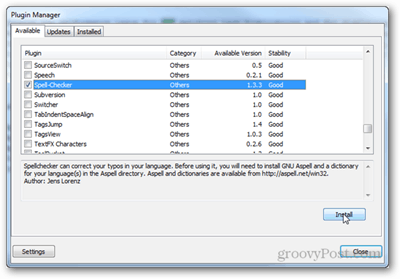 *If Spell Checker isn’t showing up on the list, open the Plugin Manager and check it from the Available tab and then click Install. Here you’ll need two files. The first is the binary file for the library software. The second is a pre-compiled dictionary (word list) in the language you prefer. Run the first binary installer first, it’s full name should be Aspell-0-50-3-3-Setup.exe and it should be 1,277KB in size. Installation is simple, just click Next a bunch of times. Next, install the dictionary file. It has the same type of setup; click next until it is done. Now all you have to do is exit and restart Notepad++. The Spell-Checker tool from the Plugins menu should have different options. Click the Spell-Checker one to start checking for spelling. you can also use Ctrl + Alt + Shift + S as a shortcut for this. 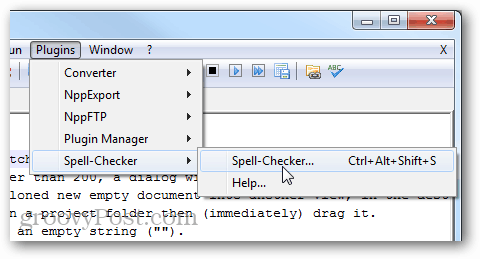 An open spellcheck dialog works much like the “find” feature, except that spellcheck is automatically hunting down words that don’t match its dictionary. 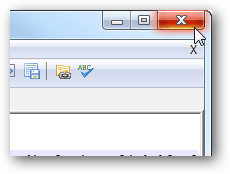 That’s all there is to setting up Spell Check in Notepad++. If you’re not a user of Notepad++, give it a whirl as a notepad.exe replacement using Ninite — the free app which easily installs the best freeware on the net. 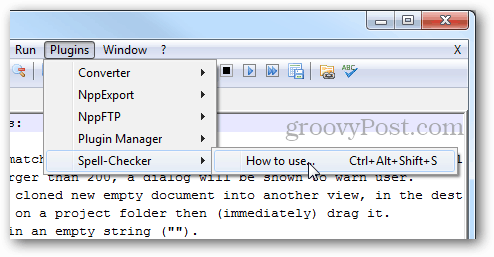 Do you know if it’s possible to add Spellcheck to Notepad++ on Windows 8 ? Good question. I’ll have to install an test it. Thanks for this. I’d gotten through installing the binary and wasn’t sure about the dictionary itself. I appreciate you posting these instructions. I used Notepad++ forever. It’s really great. 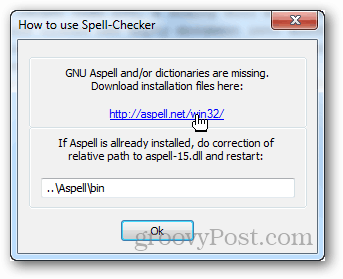 But, despite numerous attempts to install the spell checker, I was never able to install it, until when I found this article. It really helped. Following the clear instructions, I was able to install the spell checker successfully on the first shot. I attemped multiple times to install but alwalys failed. Why are you still using the ridiculous notepad++ spellcheck when an “As you type” spellchecker for notepad++ is available ? It didn’t like being installed in an x86 folder for some reason (64 bit windows 7 box), if the ASPELL installer (and you did remember to download the language for your country from the website as well didn’t you) placed itself into an c:\program files (x86)\aspell folder then copy this whole folder, subdirectories and all, to c:\program files\aspell and THAT is what you have to type into the Notepad++ screen where it talks about relative path to the aspell-15.dll when you launch the spell check plug in. Thanks for this info Keith. I dug around quite a bit before I found your comment. 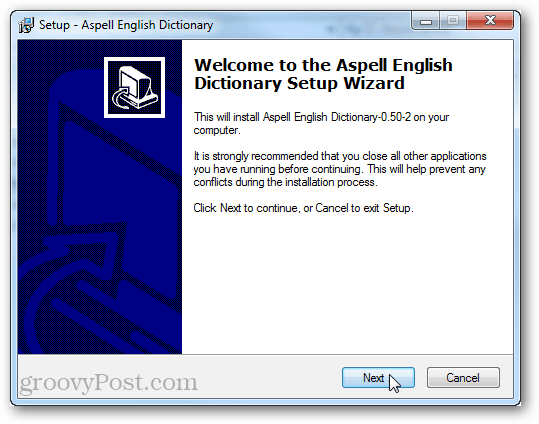 I completely removed Aspell and all associated dictionaries. 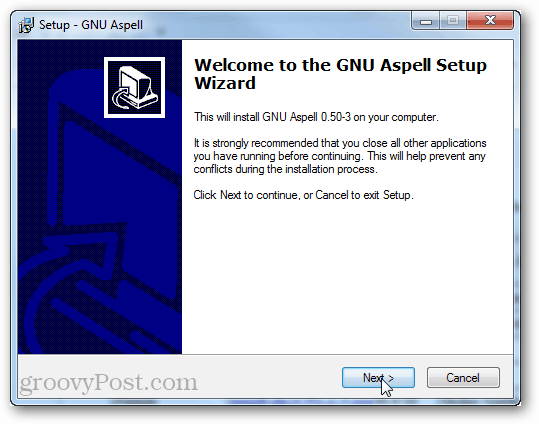 Afterwards I reinstalled in the non (x86) directory and reinstalled the dspell plugin in Notepad ++. Once this was done everything was fine. 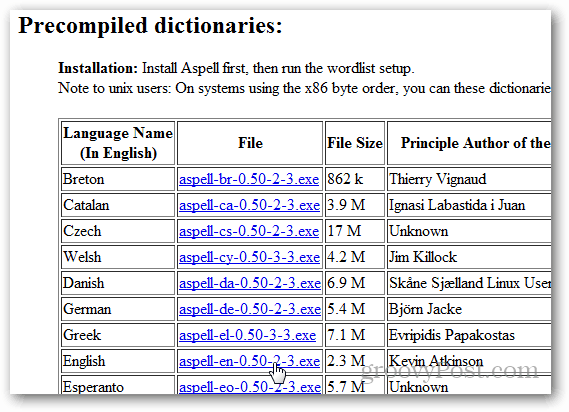 Hangup definitely seems to be related to Aspell being installed in the c:program files (x86) directory (which may make sense as it is an open source port to Windows, for a 32 bit box. thanks a clear and concise explanation. I downloaded Aspell>>gave the path. Then also it is not working.